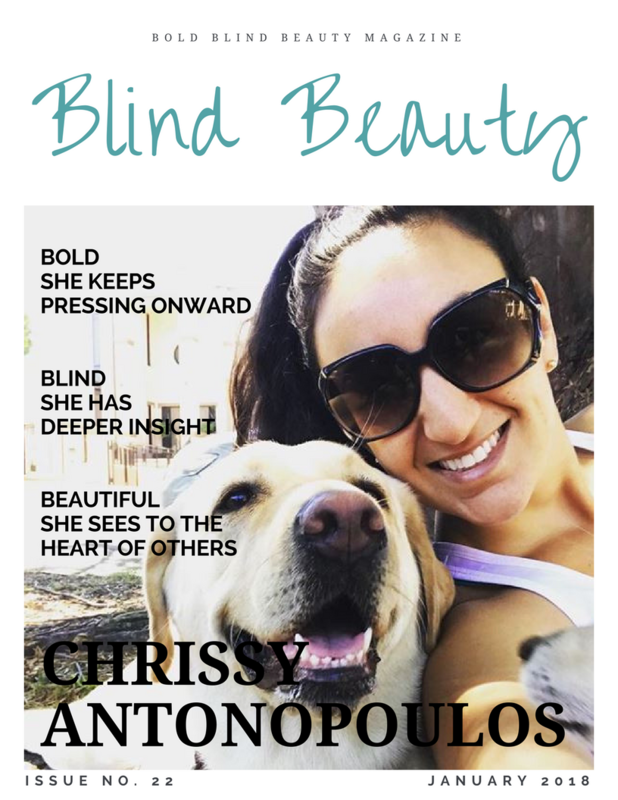 Chrissy Antonopoulos is the founder of the non-profit, See Through My Eyes. She has completed two degrees from the University of Sydney in Applied Science and Clinical Trials Research. Additionally, she has received a Graduate Diploma in Psychology. Chrissy has also been a featured guest here on Bold Blind Beauty. Oftentimes when we talk about accessibility in the disability community we seldom see what it looks like in the real world. In the screenshot provided, you can see how the magnification causes the text to overlap. This is a problem a lot of people with low vision face in many applications. Featured image is a mock magazine cover titled Blind Beauty. Chrissy Antonopoulos and her guide dog Lacey are both smiling for the camera. Chrissy’s long dark hair is pulled back from her face with a headband. She’s wearing oversized sunglasses and a lavender colored tank top. Next post: You’ve Scored A Job Interview What’s Next? Thanks Lynn. Chrissy is beautiful inside and out. you have interesting posts which gives me a lot of in-sight to what it’s like dealing with blindness. you may not know this but you and others are inspirational. Thank you Jim. It helps hearing that people are getting something from our messages. There are so many more blind people coming forward and raising their voices I can’t help be to be inspired and excited.